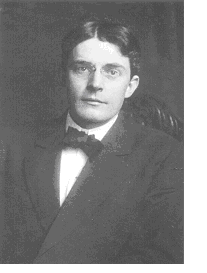 John B. Watson (1878–1958) is regarded as one of the founders of the discipline of psychology, extending ideas of a science of behaviour to be found in the work of the Russian scientist Ivan Pavlov. He rejected the idea of introspection—that it was possible to think about consciousness in a scientific way, or to use the mind to think about the mind. The only reliable material for scientific analysis was the observable facts of behaviour. For this reason, there were no important differences between studying human and animal behaviour. In his book of 1914, "Behavior", Watson outlines the founding principles of Behaviourism: that reliable knowledge of human psychology can only be gleaned from observing empirical behaviours; that human and animal behaviours are learned in fundamentally the same way, via a process of stimulus and response; and that research into the dynamics of behaviour can be the basis of improvements in education. It has been maintained by its followers generally that psychology is a study of the science of the phenomena of consciousness. It has taken as its problem … the analysis of complex mental states … The world of physical objects (stimuli, including here anything which may excite activity in a receptor), which forms the total phenomenon of the natural scientist, is looked upon merely as means to an end … [Behaviour] data … have no value per se. They possess significance only insofar as they may throw light upon conscious states. Psychology as the behaviorist views it is a purely objective experimental branch of natural science. Its theoretical goal is the prediction and control of behavior. Introspection [reflections on mental states] forms no essential part of its methods, nor is the scientific value of its data dependent upon the readiness with which they lend themselves to interpretation in terms of consciousness. [T]he desire in all such work is to gain an accurate knowledge of the adjustments [responses] and the stimulae calling them forth. The reason for this is to learn general and particular methods by which behavior can be controlled … If psychology would follow the plan suggested, the educator, the physician, the jurist, and the business man could utilize the data in a practical way, as soon as it could be experimentally obtained.